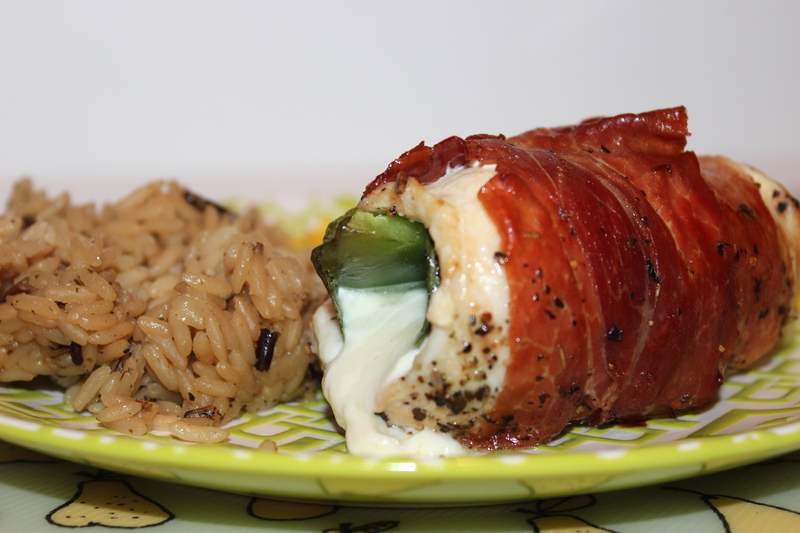 One of our favorite meals is chicken roulade or what we call them in our house are chicken roll ups. 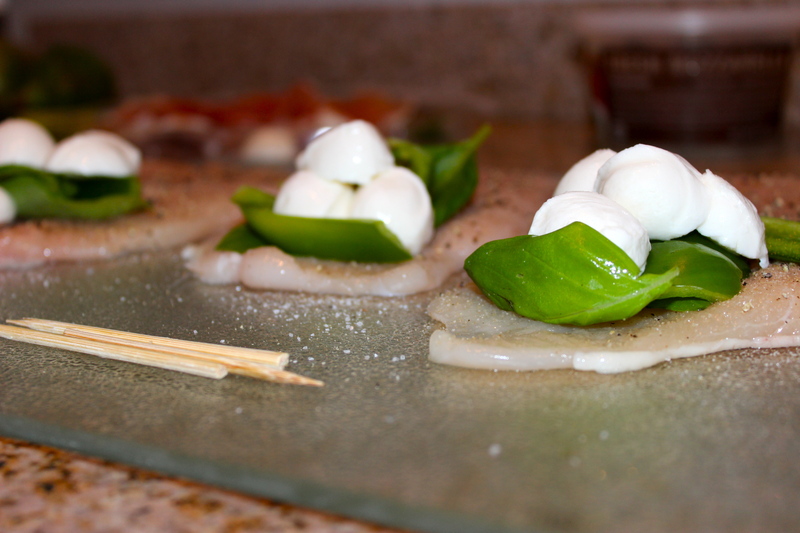 They are super easy to make and are really versatile based on ingredients you have on hand. 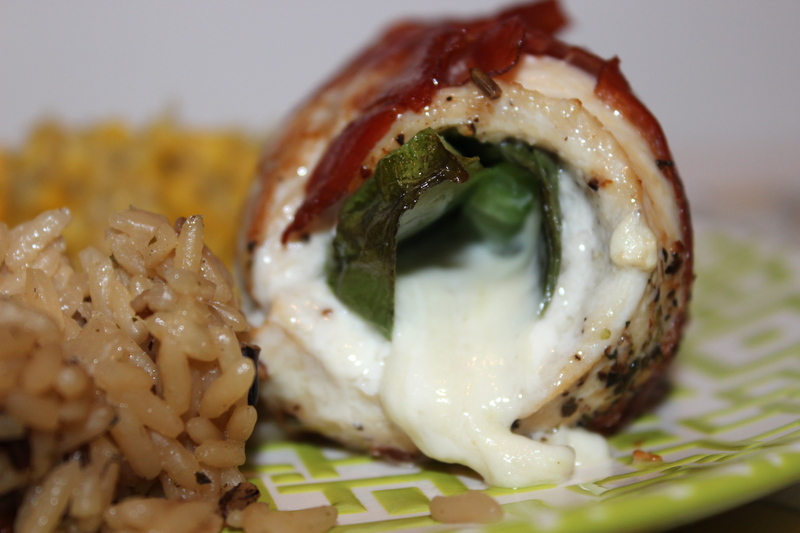 For the chicken roulades I made today I stuffed them with green bell pepper, sweet basil, and mozzarella cheese. This meal is particularly great for entertaining too. Everyone I have ever made them for have loved them and have been really impressed. I make many variations–sometimes using feta cheese, roasted red peppers, and spinach or sun dried tomatoes, spinach, and mozzarella. 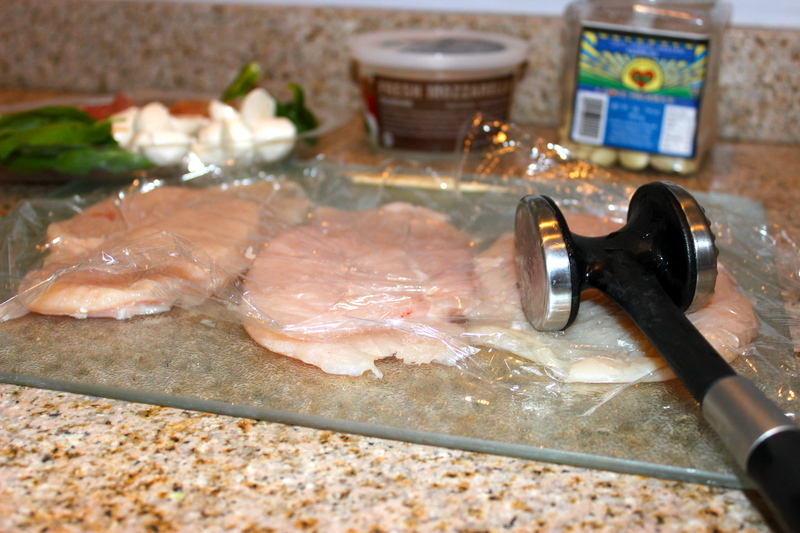 It is really a limitless recipe based on your favorite ingredients. I like to wrap the chicken in either center cut bacon or prosciutto (a dried cured Italian ham) because they get really crispy and delicious. 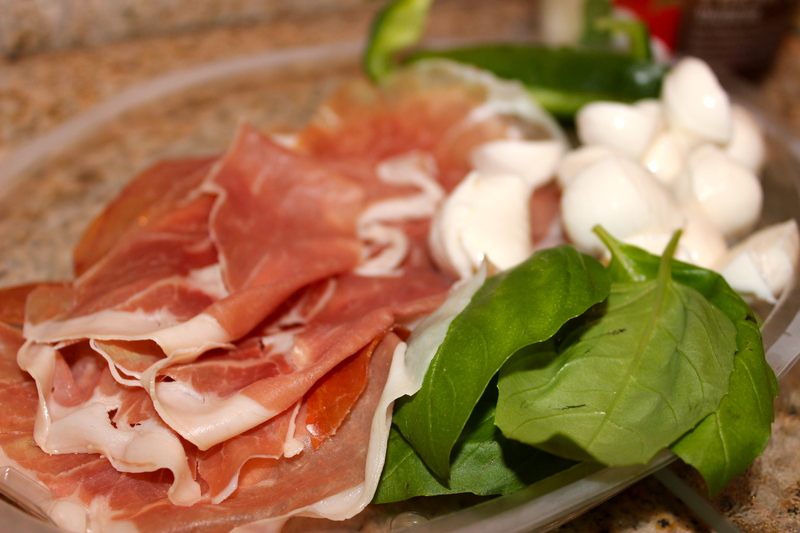 It’s like you took all my favorite things (prosciutto, bell peppers, mozzarella) and figured out how to put them in one dish. I can’t wait to try this! Yay! Thanks so much! I hope you enjoy it:) It’s definitely delicious. 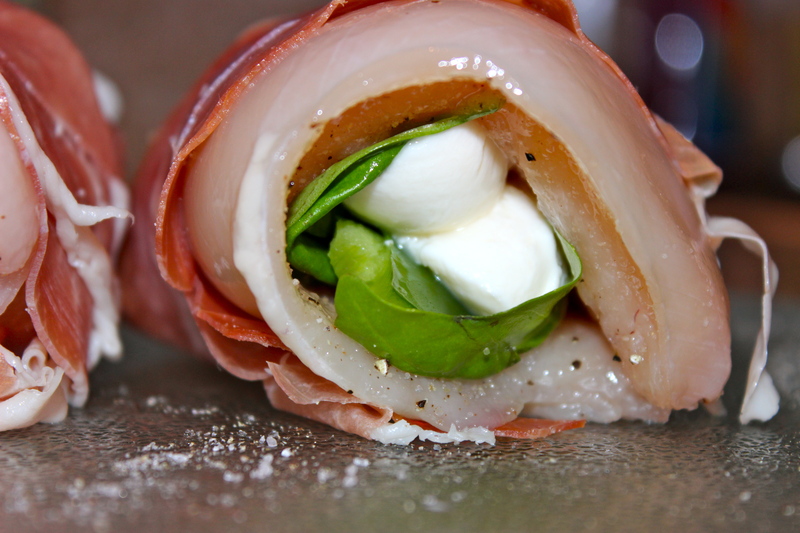 That looks super tasty…for sure have to make it with prosciutto! Stopping by from SITS, happy weekend!